Senate Intel Committee Calls On Assange To Testify - Joe.My.God. WikiLeaks announced in a tweet Wednesday the Senate Intelligence Committee called on its founder Julian Assange to testify on Russian interference in the 2016 election. The tweet also included a copy of the letter delivered to Assange. 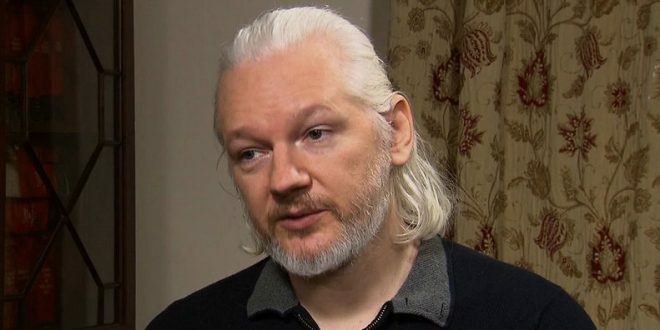 It requests Assange make himself “available” for a closed interview with the committee “at a mutually agreeable time and location,” and to respond as soon as he receives the letter. Spokespeople for Senate Intelligence Committee Chairman Richard Burr, R-North Carolina, and the top Democrat, Mark Warner of Virginia, declined to comment on the letter.